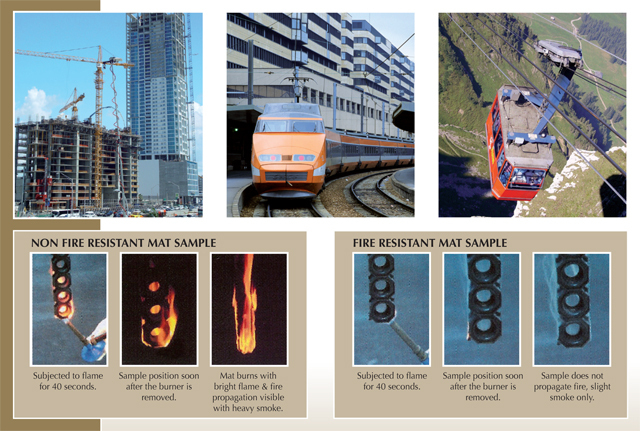 Ideal for fire hazardous areas, as the mat is inherent with a combination of properties for resisting fire. Does not emit chlorine or chlorinated gaseous compounds, such as hydrochloric acid fumes, sulfur monochloride and chlorine etc. Very low smoke emission. 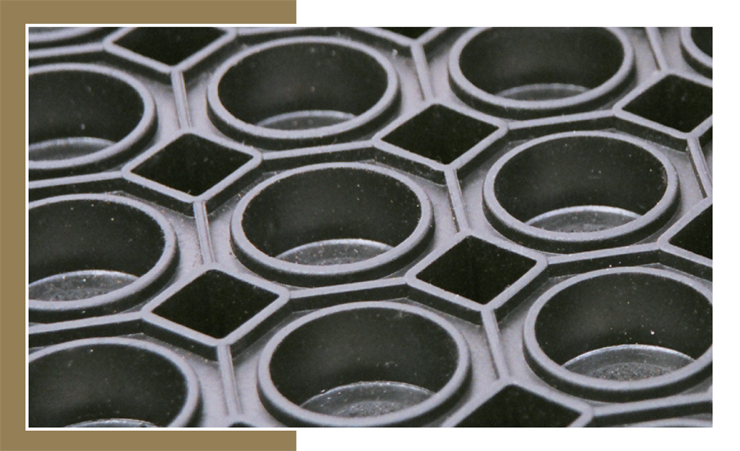 Excellent resistance to general weathering conditions and has inherent ageing resistance. Very good load bearing characteristics. Good wear and tear properties coupled with strength for more durability. Tested according to EN 13501-1 by Vienna, Austria and has classification Cfl-Sl.